Eating the same thing day in and day out can definitely get to be a bit dull. 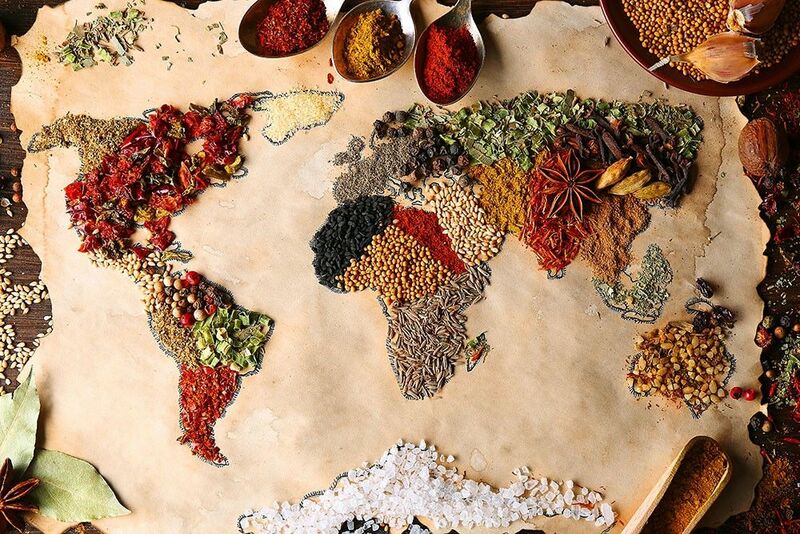 Luckily, there are many different types of cuisine to spark your imagination. A great dish doesn’t have to be authentic, but even taking a few little inspirations — a spice blend you don’t normally use or an exotic vegetable — can wake up your inner gourmet. These are our TOP 10 favourite recipes from around world, chosen based both on flavour and how easy they are to make at home! The name carbonara comes from the Italian «carbone», meaning coal or charcoal, and some believe it was thought up by those who extracted coal from the mines in the Latium region (near Rome). This dish is super easy to make at home but tastes and looks like it was made by a professional chef. “Fish and Chips,” Britain’s favourite take-away, is completely revisited here to get a tasty yet healthy result with no deep-frying. It’s the perfect treat for when you feel like having a little savoury indulgence but don’t want to spend the calories. Outside its native Hungary, where it is known as “gulyás” and is served as a hearty thick soup, goulash [pr. GOO-lahsh] is a stew made with beef or other meat and vegetables, flavoured with lots of very fresh sweet or spicy Hungarian paprika, giving it a pungent aroma. It’s the kind of meal that keeps the winter out on a cold day, and as a bonus, the leftovers are just as good if not better the next day!